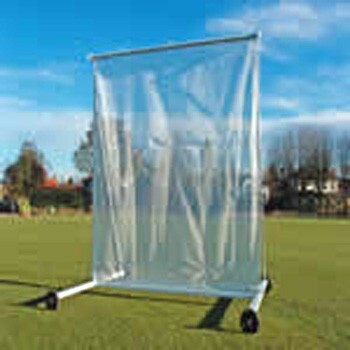 It has a galvanised wind-up barrel with gear box to roll the mesh material to the top of the frame when not in use. 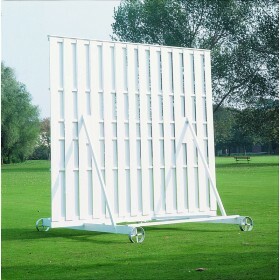 It features steel centre wheels with solid rubber tyres and anchor pins. 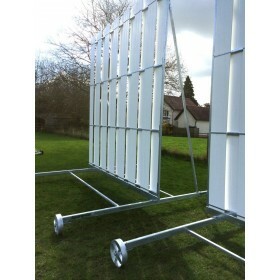 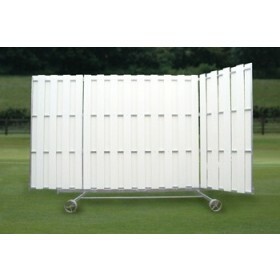 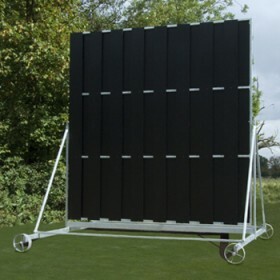 This low maintence cricket sight screen is supplied bolted together for DIY construction - installation can be provided if required.